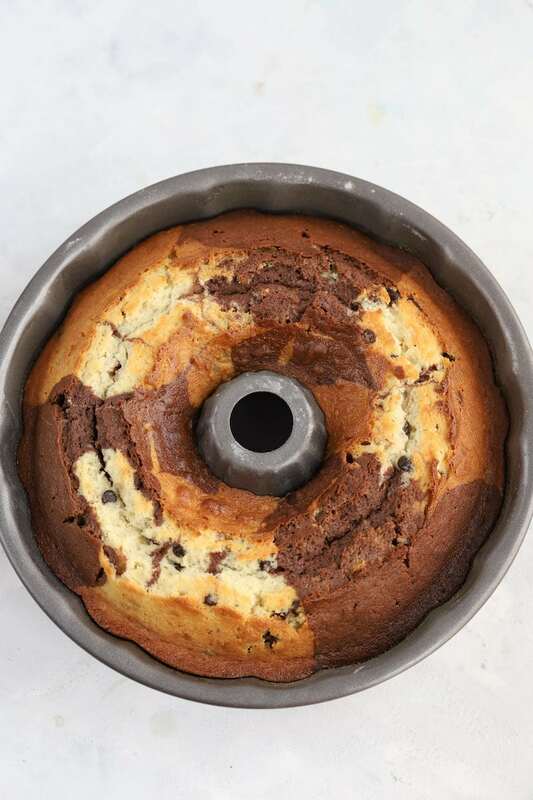 An easy, delicious chocolate chip marble bundt cake that is one of the best bundt cake recipes you'll find! You know, I’m not really a fan of marble cake. 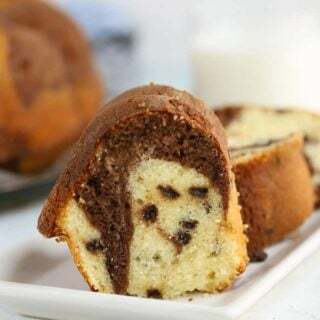 Is it okay to admit that while convincing you that this chocolate chip marble bundt cake is delicious and one of my favorite homemade cake recipes? Yeah, it’s okay, we are friends. I’m sort of about keeping cakes true and honest in their flavors and not doing this business of mixing and muddling them together. So terribly old-fashioned, I know. 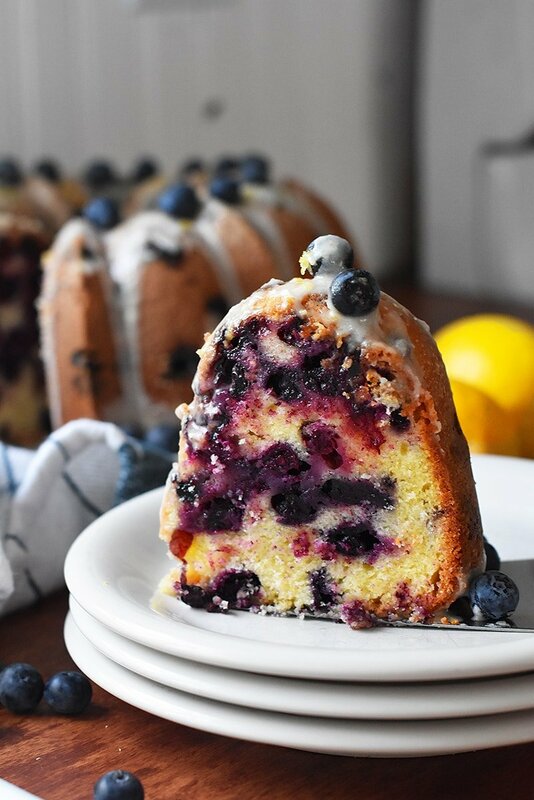 This bundt cake recipe, however, uses my favorite old-fashioned butter cake recipe as the foundation. Then I split that in half and turn one half into a rich, chocolate batter and the other half into a chocolate chip butter cake. This kind of mixing I can get on board with. The key to this chocolate chip goodness is to use mini chocolate chips. Otherwise you will end up with even MORE muddling with those large melted chocolate bits. 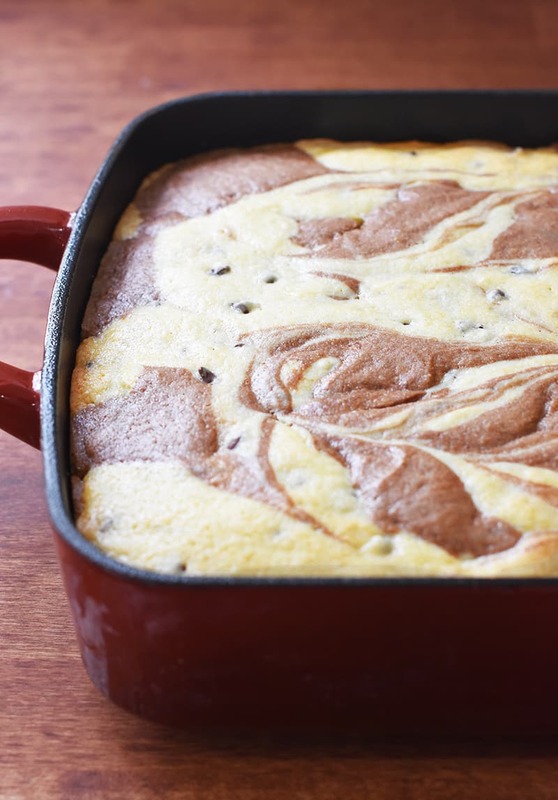 Drop your batter by the spoonful into your pan, alternating flavors. 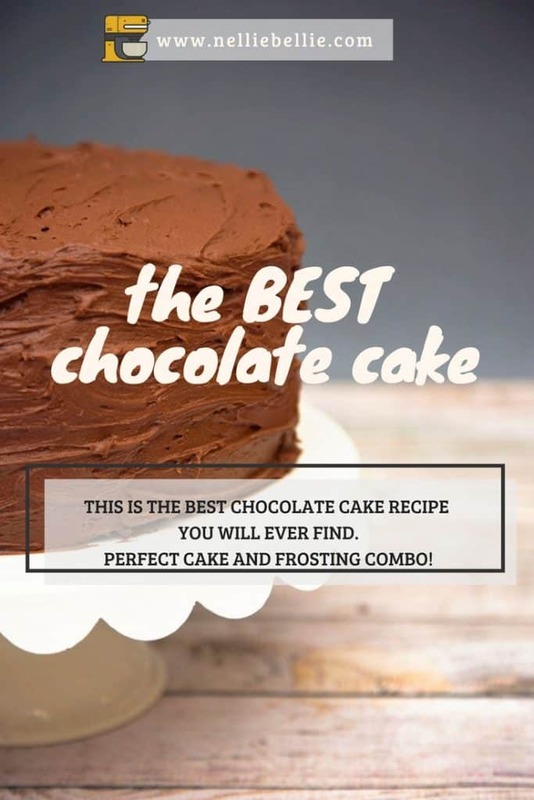 This cake is a thick batter, don’t even worry about it! Take a knife and run it through your cake only going across one way. And only a few runs. 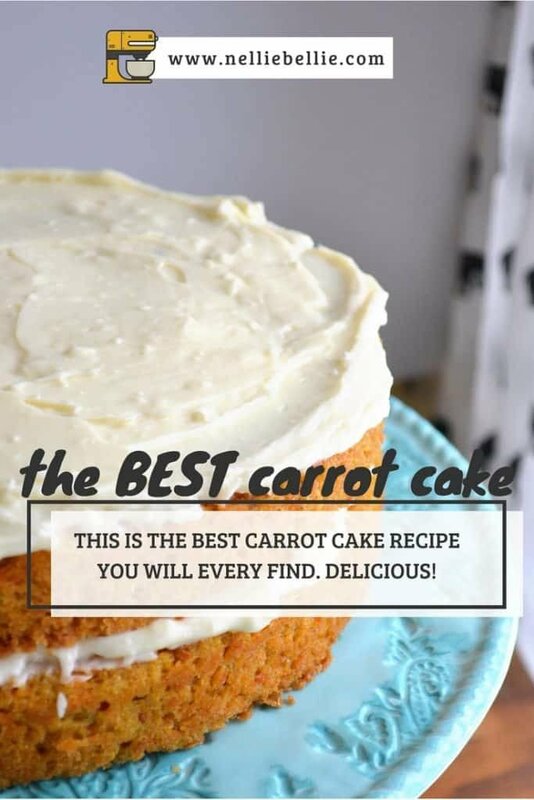 Do NOT be tempted to do more or your cake will get muddy and stuff. Clean your knife off and go back again the other way. Again, only a few strokes! Think about doing this with a strawberry and vanilla flavor combo, pistachio and almond, or whatever you can dream up. So fun! 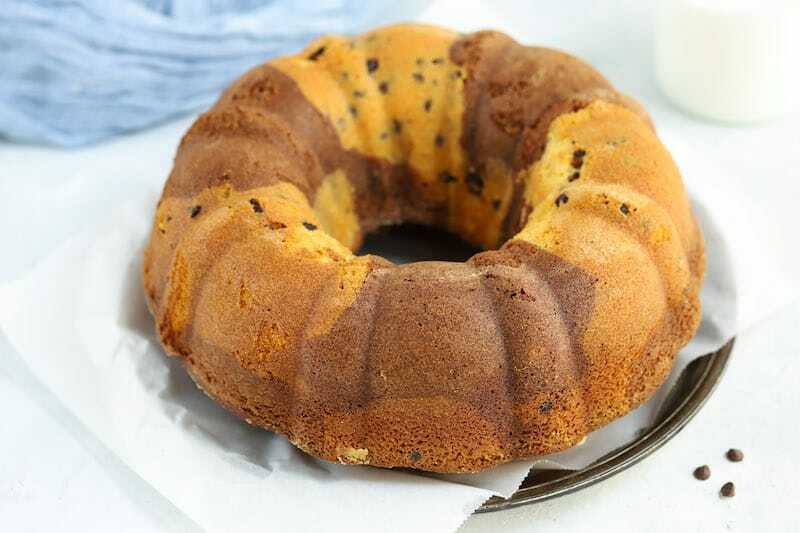 This chocolate chip marble bundt cake is best plain, with a cup of coffee. 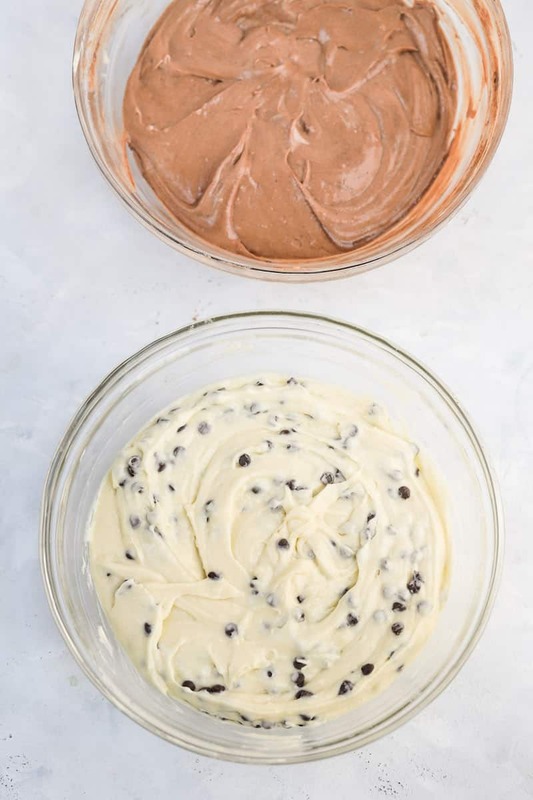 You could drizzle some melted chocolate, or a simple white icing. But why? 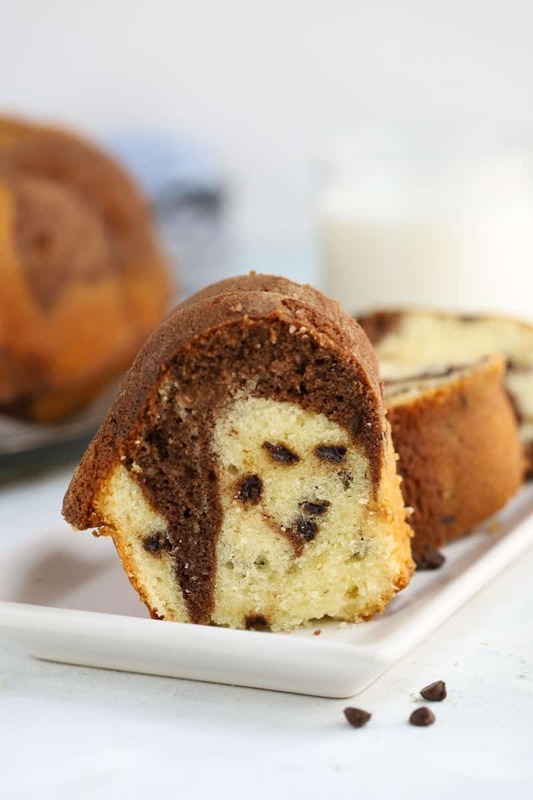 This is a simple, homemade marble bundt cake that your family will love and you will love to make! Add vanilla and sour cream, gently beat just until combined. 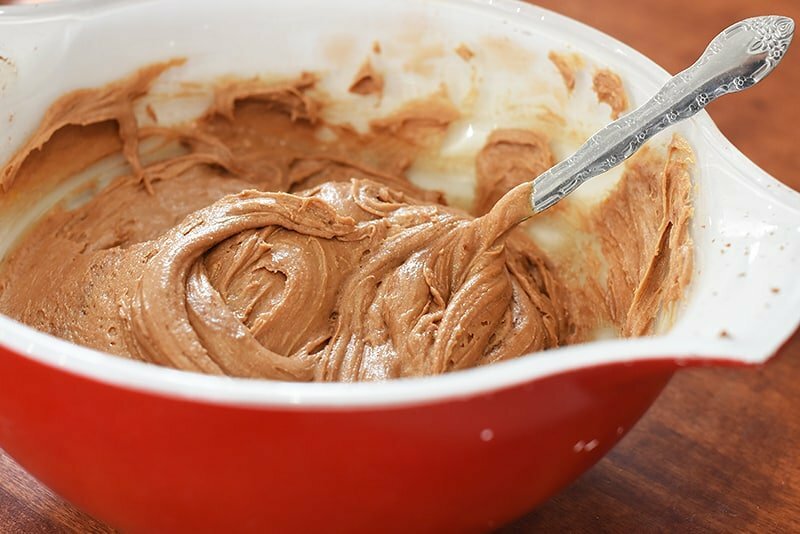 Add 2 tablespoons of cocoa to one half of the batter. Stir until incorporated. 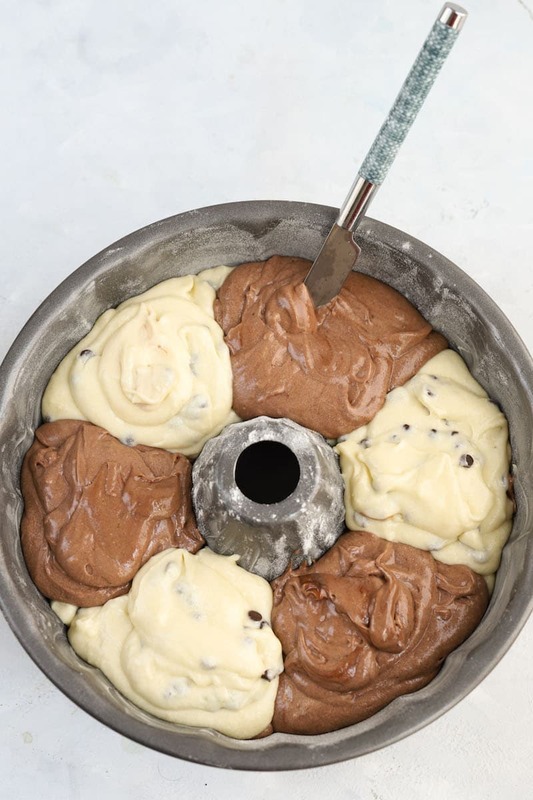 Add 1/2 cup mini chocolate chips to the other half of the batter (plain). Stir until incorporated. Drop spoonfuls again but this time alternate the flavors. So, chocolate is now on top of a spoonful of vanilla, and vanilla is on top of a chocolate. Drag a butter knife through the cake going across the width of the cake, and back again. 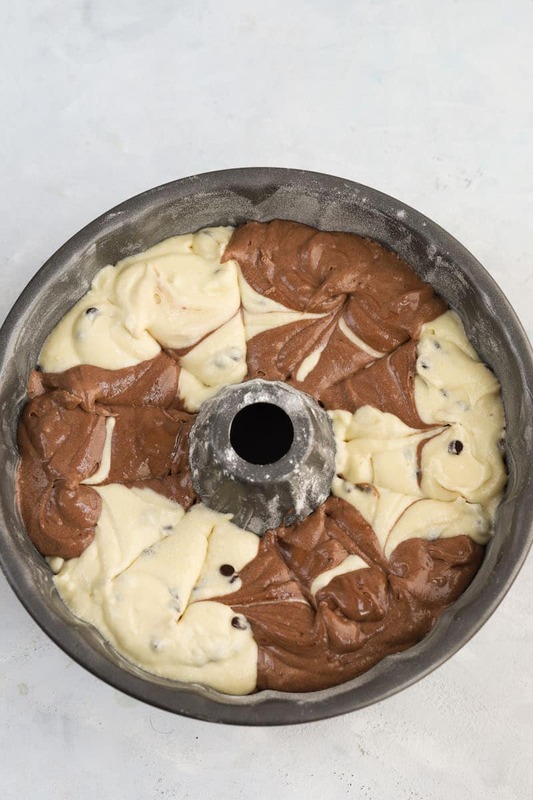 Do not be tempted to "over swirl" or you'll get a muddy looking cake. Wipe the knife off when you get to the end. Now, swirl the cake down the length of the pan, again do not over-do it. 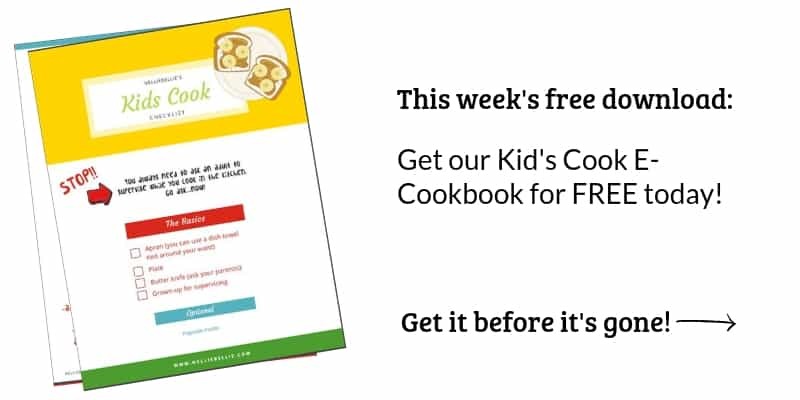 BAKE the cake in a 350 degree oven for about 50-60 minutes (check at 50 minutes) or until a knife inserted comes out clean.